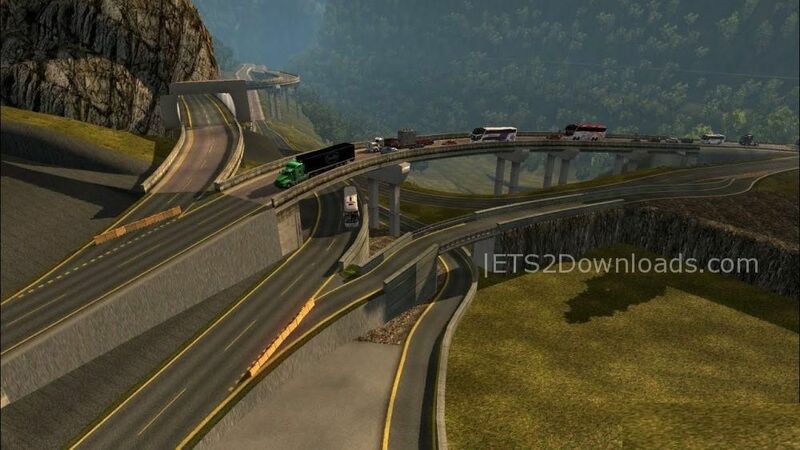 Standalone Colombia map contains some deadly routes, dangerous curves, ups, downs and more. 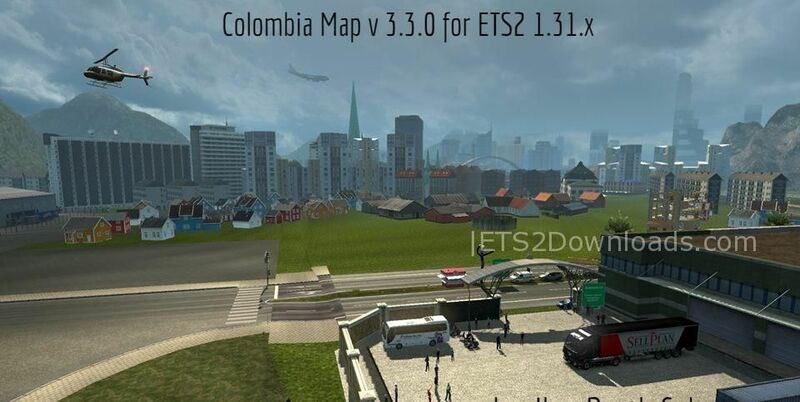 Download the 2 parts and locate the files in ETS2 mod folder and use the module apollo.mbd and start. Correction of invisible walls on the road from La Paila to La Tebaida. Increased experience gained by free driving (ideal for buses or automobiles). Increased experience when discovering new areas on the map. Complete reconstruction of the stretch of Guayabetal to Quetama Bridge (Villavicencio – Bogota) including double carriageway, bridges and tunnels. Correccion of mountain that blocked the ascent to the hill of Guadalupe. Correction of invisible wall at the intersection to the rise of Guadalupe Hill. Inclusion of the route from La Tebaida to La Paila. Inclusion of the municipality of Nueva Quebrada. Inclusion of new names of places on the map via Gutierrez.